Ryder-Walker lost a good friend yesterday. 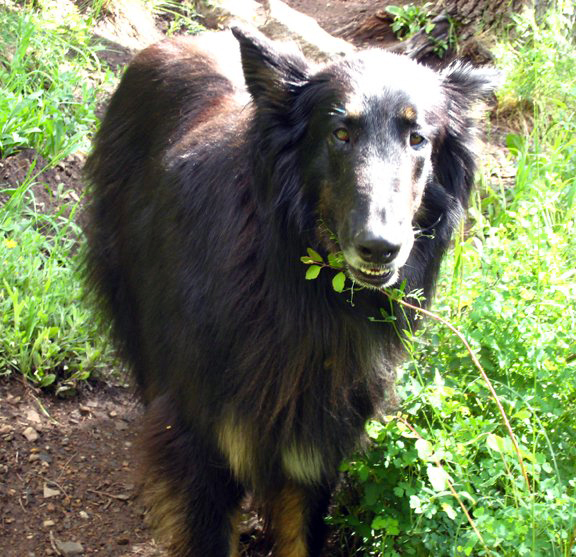 Phineas Walker was a German Shepard/Collie mix that warmed the hearts of all who knew him. Phineas was our trail partner. He was our office companion. He was our friend. We were fortunate to know Phineas during two distinct evolutions at Ryder-Walker. At our old office, Phineas spent his days running through aspen forests, crossing mountain streams and chasing all manner of wildlife including his favorite bird, the magpie. During the summer, we left the office door open so that Phin could come and go as he pleased, often splattering the office supplies with mud and necessitating the reprinting of countless cover letters and packages. When Ryder-Walker expanded to the new office location in Mountain Village, Phineas handled the transition in stride. The new location was more “urban” than he was used to, but when we grabbed a quick trail run during lunch, he was always right there by our sides. At the new office, Phineas could no longer come and go as he pleased, but he could give us the look, or bang his paw against the door, and we knew it was time to get outdoors. Phineas loved to run. He ran while we biked. He ran while we skied. He ran by himself, often visiting friends in nearby communities like Ophir (9,695 ft.). We all took turns with Phineas, but at one point in his life, Phineas was so strong that we physically didn’t have enough time in the day to keep him sufficiently challenged. We had to work! So he played when we couldn’t, and he ran across the San Juan Mountains of Southwest Colorado like there was no end to his strength. Phineas lived the life that most dogs can only dream about. But strength can be fleeting, and all stories come to an end-some sooner than expected. We knew something was wrong when Phineas lost his cheery disposition. He was rarely grumpy, so when he seemed aggravated, we paid attention. He also started limping. We hoped it was a just another sprain. As a mountain dog, Phineas was no stranger to knee surgeries and physical therapy. This time, however, something was different. Phineas had a different look in his eyes. Something was eating away at him from the inside. Something was wrong. Phineas battled his bone cancer for a full eight months. Doctors initially gave him two months to live, but his strong life spirit prevailed, and he continued to chase magpies and bring us joy until only recently when the cancer severely diminished his quality of life. We’ll never forget the way he exploded through the office door during sunny mornings in mid July, trailing mud, water and sticks from the diving bird pond. We’ll remember the quirky way he nibbled on our blankets and shirtsleeves when he got excited. We’ll cherish the way he pressed his backside into our legs, bascially sitting down on the people and the things that he liked. You can own dogs all your life, but there’s always one that stands out from the rest. There’s always one that, for whatever reason, possesses the life energy, the personality traits and the love that makes them special. There’s always one that you’ll be especially sad to see go. Phineas was that dog. He was different. He was our friend. Thanks for the ride Phin, and god speed. We’ll miss you. We lost our beloved trail running/biking/skiing/canoeing dog last summer and your tribute brought tears to my eye for Phineas, for our Tobler and for all dogs who share our lives and activities with love, loyalty and enthusiasm. Our condolences. We lost our beloved trail running/ biking/ skiing/ canoeing dog last summer so your tribute brought tears to my eyes for Phineas, for our Tobler and for all dogs who share our lives and activities with love, loyalty and enthusiasm. Our condolences.